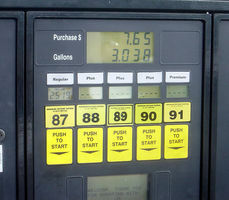 When you pump gas, the total cost depends on the number of gallons pumped. The total cost is a function of the number of gallons pumped. A set called the domain containing numbers called inputs (Gallons pumped), and a set called the range containing numbers called outputs (Cost). A pairing of inputs with outputs such that each input is paired with exactly one output.